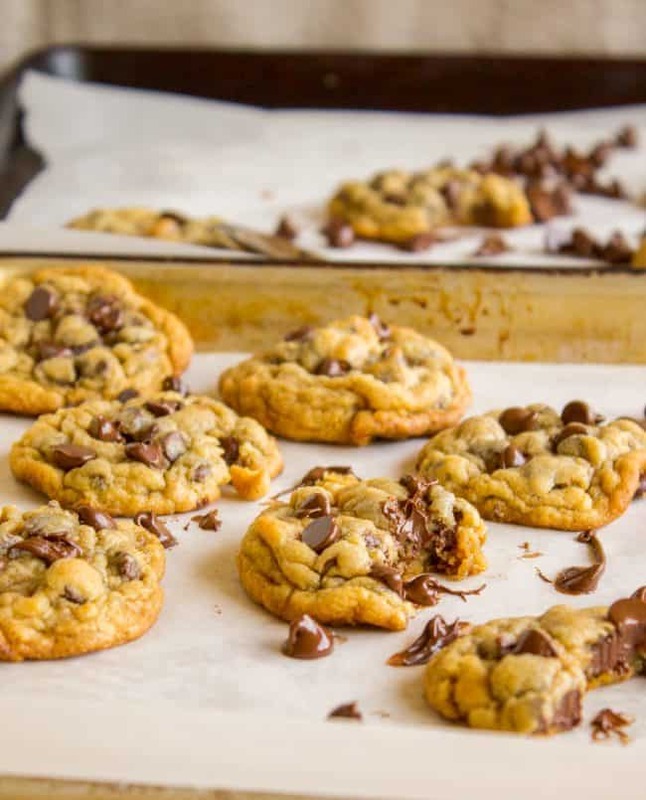 This recipe gets you from zero to chewy chocolate chip cookies in 30 minutes with normal ingredients. They are soft in the middle, perfectly crisp on the edge, and have an ultra chewy center. There is a secret that is going to change your life; you are never going to look at warm cookies the same way again! It turns out that when people come to my blog and use the search box, the most commonly typed word is “cookies.” You guys know what you want. I’m here to deliver! 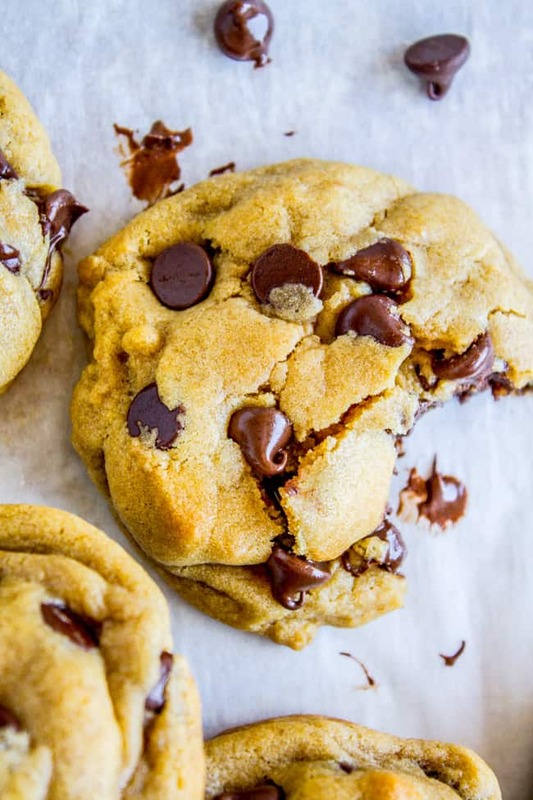 Even though I’m a food blogger, and am supposed to be adventurous and trying new things, at the end of the day all I really want are chewy chocolate chip cookies and a tall glass of milk, make that whole milk thank you very much. Anyway, Emily’s cookies were legit. Like, legiiiit. Tons of buttery flavor, soft, mounded, CHEWY center, and delightfully crisp on the edges to provide sturdiness and flavor, without being hard or dry. I looked at the cookies again. They were not flat. At all. They were nice and tall and mounded in the middle. Flat cookies are the worst, and I always take at LEAST 20 minutes to freeze or refrigerate my dough to avoid it. Or use half Crisco/half butter. This is the only life I have ever known, you guys, and I bake a LOT of cookies. Then Emily explained her magical secret for perfect chewy chocolate chip cookies. 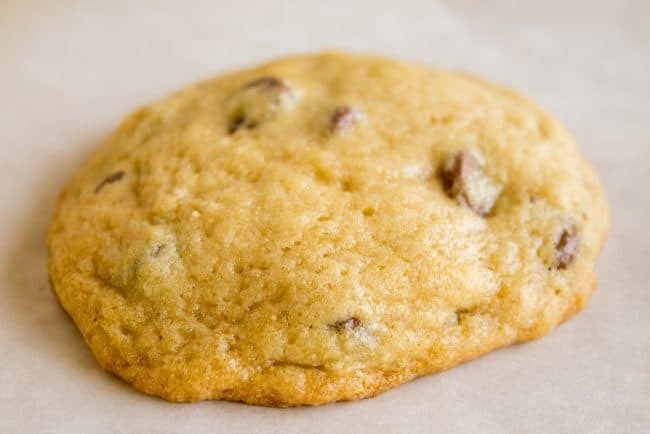 This is a cookie immediately after coming out of the oven. I bet you’ve baked cookies that looked just like this. As they cool, the center falls and becomes flat. The centers are not as tall (meaning they won’t be as chewy and fudgy) and the edges get crispier than I want them to be. Spoons are where the magic is at. Smooooooosh. This is the same cookie. I swear! Look at how much more appetizing the edges look when you give them a little lift with the spoon. 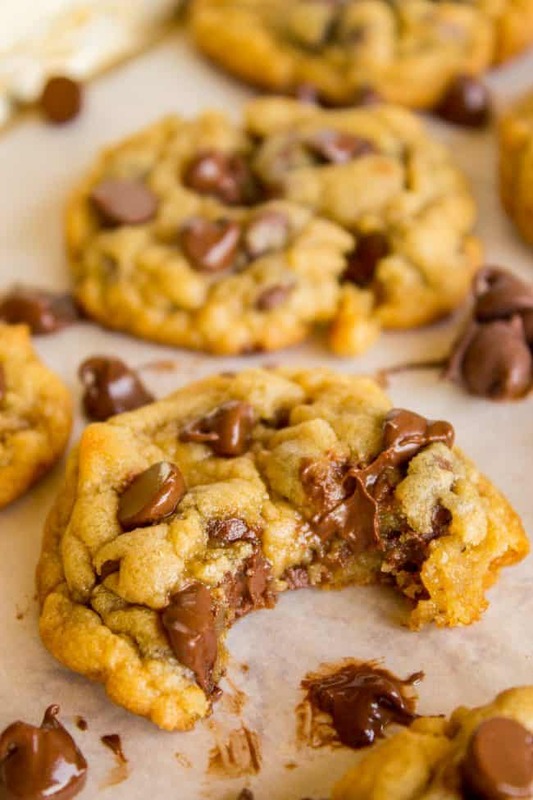 Add a few chocolate chip cookies on top to make them extra pretty and extra chocolate-y. I used my fingers to squish the cookie together a bit more. Once those golden edges have cooled and firmed, you will not be able to mold the cookie anymore; it will just break. You really have to do it right out of the oven. All butter, 2 eggs beaten in one at a time, light brown sugar, no chilling, bake at 350 for 11 minutes. Mysteriously mundane and unspecial. Sounds like every cookie recipe ever. I should have known that Emily would have an amazing chewy chocolate chip cookies recipe. She’s an amazing baker. She is the source of these Caramel Nougat Pecan Rolls, after all, which is to this day my FAVORITE candy to make at Christmas. Seriously, try it, it is so good. 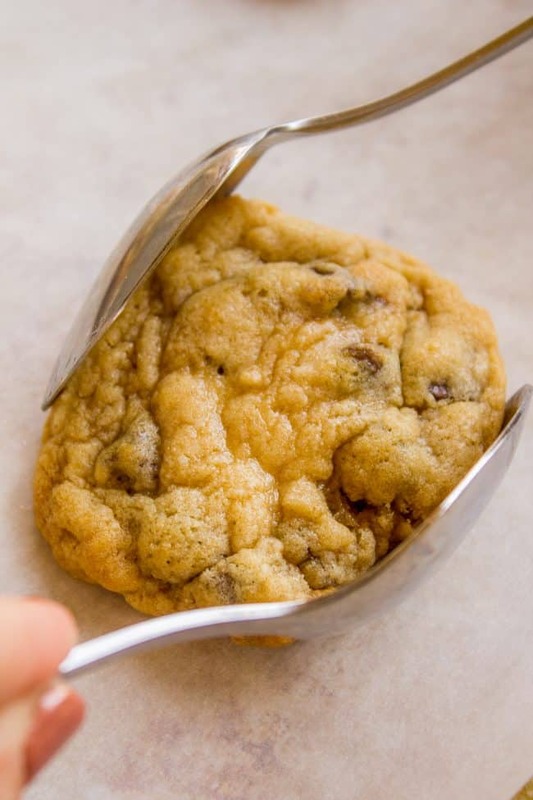 You could of course apply this spoon method to any cookie recipe ever. Like I said, Emily’s recipe is very basic: no cornstarch, no special chocolate, no fancy sea salt, just butter and sugar and flour. 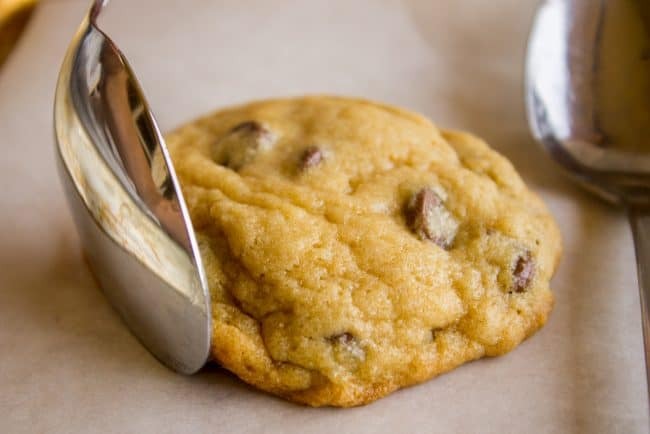 I guarantee you that I will be using the spoon trick on basically every cookie I make from now on! Six years ago: Brown Butter Pumpkin Cupcakes with Maple Pecan Frosting << legit. 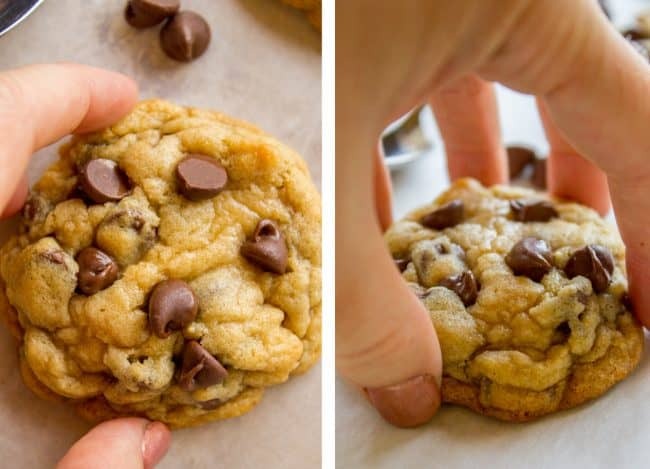 This recipe gets you from zero to chewy chocolate chip cookies in less than 30 minutes with normal ingredients. They are soft in the middle, perfectly crisp on the edge, and have an ultra chewy center. There is a secret that is going to change your life; you are never going to look at warm cookies the same way again! You can make this dough ahead of time and freeze for later. 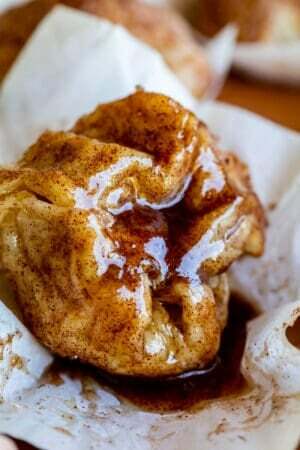 Shape the dough into balls, seal in a ziplock, and freeze for up to 3 months. No need to thaw before baking; put them frozen into a preheated oven and add 2-3 minutes to the bake time. Once the dough has been chilled or frozen, there is not as much need to use spoons to smoosh them together, although you can if you want. 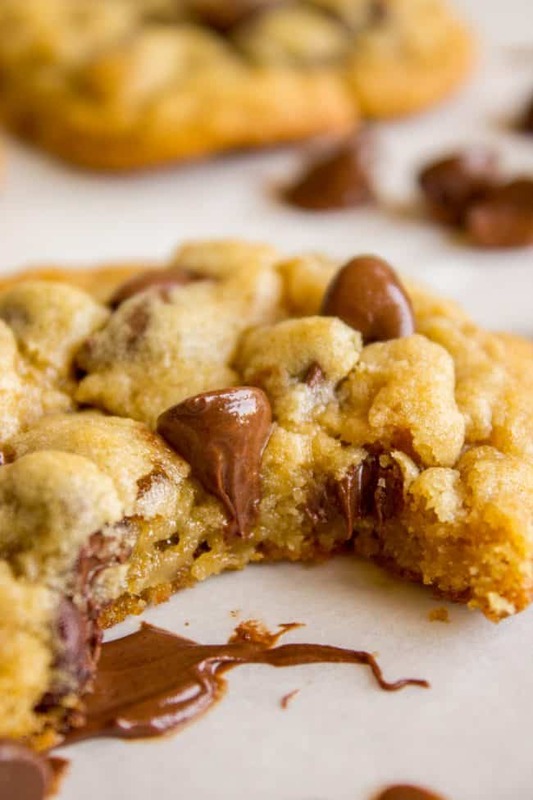 There are never enough chocolate chip cookie recipes. Never!! 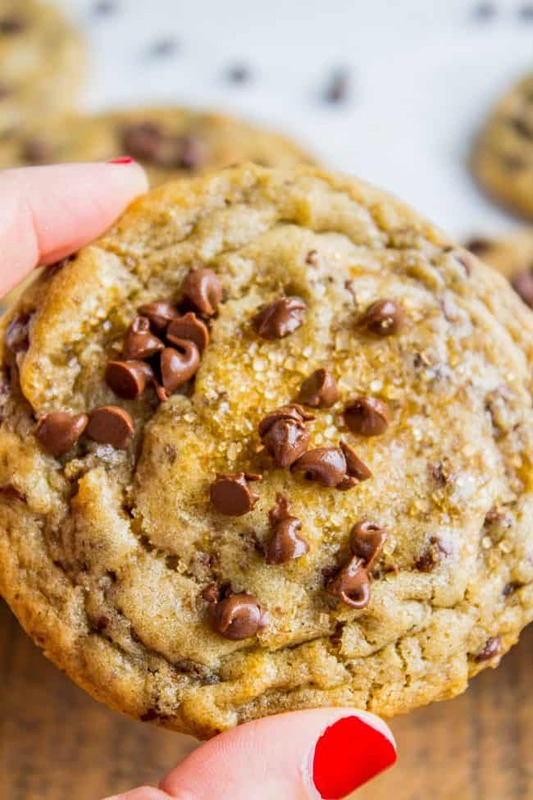 The Best Chocolate Chip Cookies I’ve Ever Made << this recipe has a few unusual ingredients and it’s so good!! 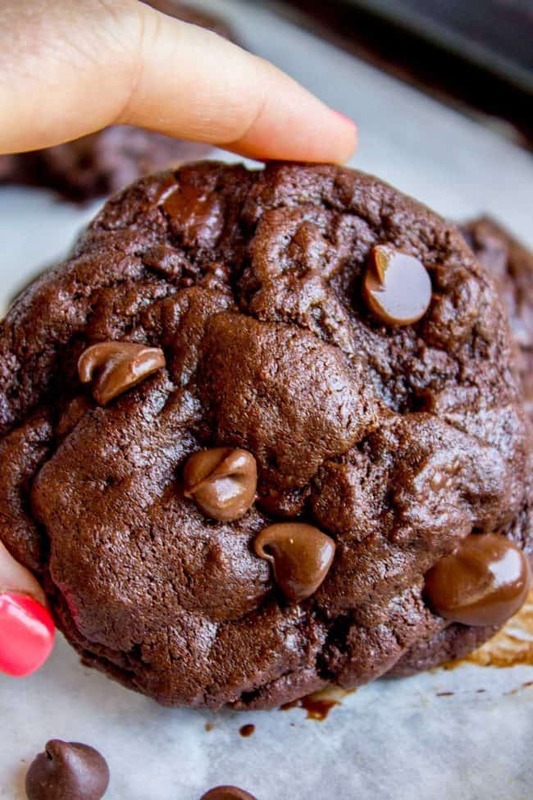 The Best Bakery-Style Double Chocolate Chip Cookies << You are seriously going to LOVE these. 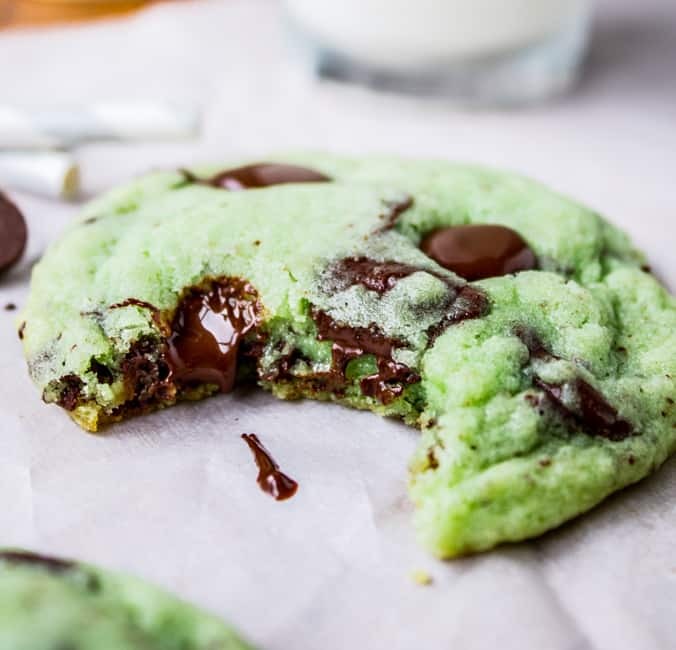 Mint Chocolate Chip Cookies << one of the TOP recipes on my blog! 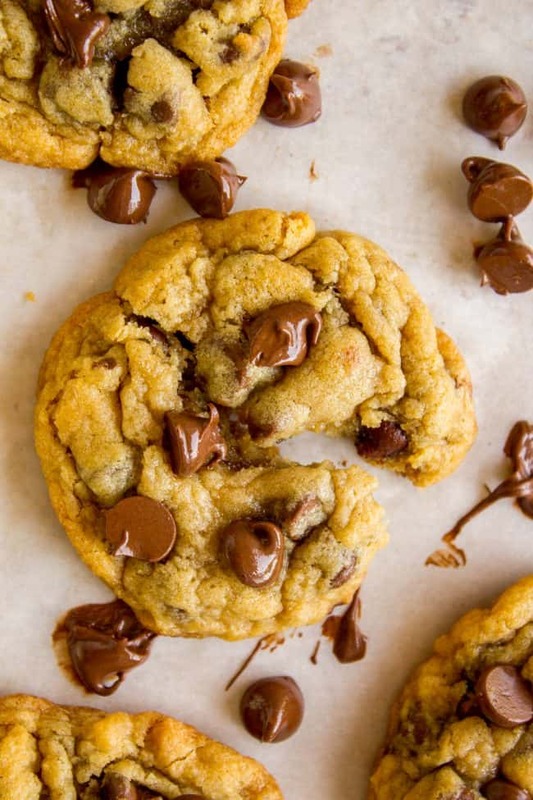 More chocolate chip cookie ideas from friends! Hi! If I want to double the recipe do i just double all the ingredients like the baking soda and salt or is there another recipe for it? Hi Zia! Yes just double all the ingredients, and follow all the other instructions exactly as stated (mix/bake the same amount of time, etc.) Enjoy! Ohhhh you shape them with spoons when they’re still warm out of the oven, you devil! Forget the caramel cake – I’m making these tonight. Better give Jenny Craig a call tomorrow! if you add half the amount of cream of tartar as baking soda–you don’t have to do the silly spoon thing. If I would like to make it less sweet, how much white sugar and brown sugar should I put ? I still want to keep the chewy and gooey in the center and crisp on the side texture. Hu Jayne! I’m not really sure, have you tried them as is yet? Maybe try cutting back the recipe amount by 1/4 cup or so? If you take out a lot of the sugar it will start messing with the texture of the cookie, so be aware of that. Three cups of flour? That seems like a whole lot. Try it, I promise it’s perfect! That is strange Maegan! Try beating the butter and sugar for a full 3-4 mins, scraping sides as you go. Spoon and level flour. It sounds like you had too much? Cant wait to try all…. I just made these and they were GREAT! Best chocolate cookies I’ve ever made! Thank you soooooooo much for this recipe. 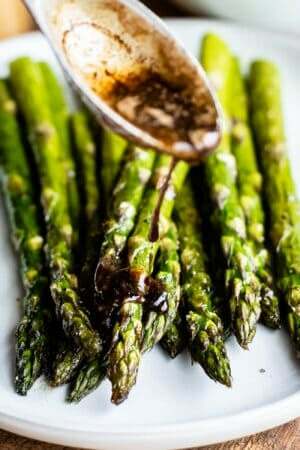 This recipe has quickly become a favorite in our house! I’ve made it 3 times already and will make it again for work come Valentine’s day! That’s awesome Kirstie! Sometimes you just can’t beat a classic, right?? Just made these as a part of my perpetual search for a better chocolate chip cookie. My go-to has been the Imperial Chocolate Chip Cookie recipe on the back of Dixie Brown Sugar bags, which taste great but are a bit oilier than I like. 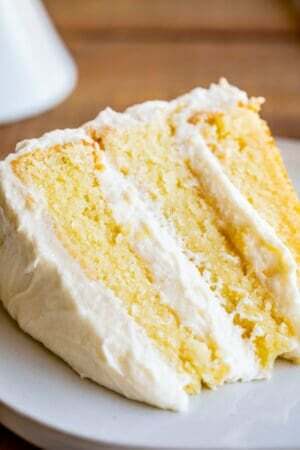 Other recipes have been to cake-y, which I hate. THESE have an amazing texture, I love the beautiful cracked surface that I’ve never been able to recreate with homemade cookies before. I didn’t follow the recipe exactly- I browned 3/4 of the butter and let it cool before using. These are definitely my new favorite and I plan on playing with different add-ins in the future. Thanks! 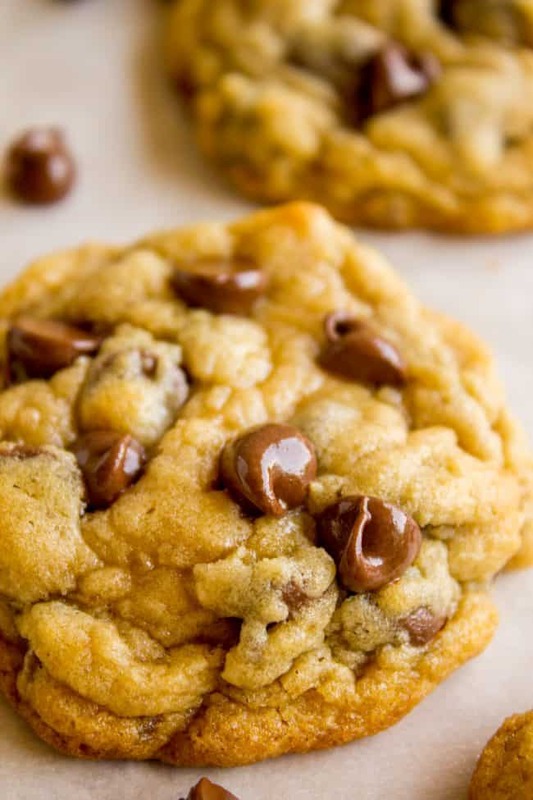 Ooh I LOVE browned butter chocolate chip cookies, I even have a whole separate recipe for them, here it is: https://thefoodcharlatan.com/brown-butter-chocolate-chip-cookies-recipe/ I’m glad you liked them! It’s pretty no-fuss recipe. What kind of flour? Plain, all purpose or self rising? Hi Stephanie, regular all-purpose flour! What about using unsalted butter? Would you just add more salt?? Thank you! Hey Melissa! Yeah, if you use unsalted butter you could add another 1/4 teaspoon of salt or so. Try adding some and tasting the dough, then adding more from there. 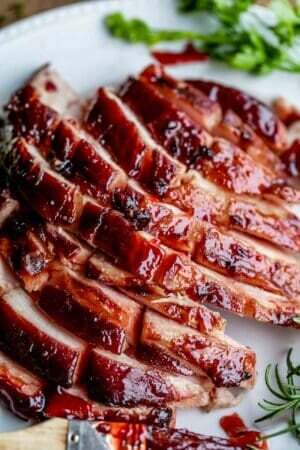 Very easy recipe, I made some last night and it came out great, the 2nd batch was perfect. My daughter and I just ate the rest from last night, it was stored in a Tupperware and I’m actually surprised that it was still soft n chewy. 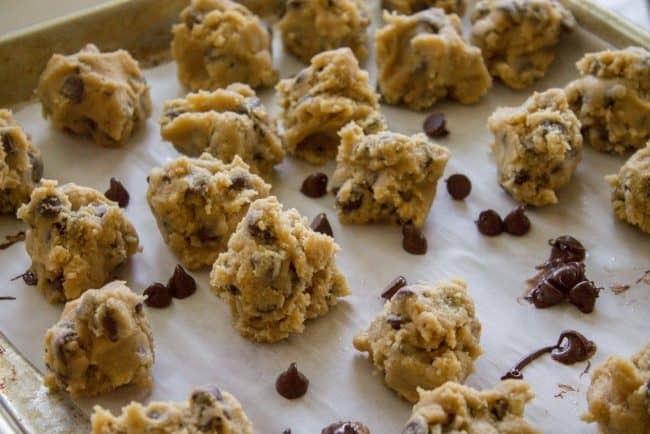 I also stored the remaining dough in a cookie container from a previous cookie dough that was store bought, I had rolled them into a ball, covered with cling wrap and then put into the container. Thanks for sharing your recipe. How am I just seeing this post now?! Your cookies look divine and I feel like I need to make a batch right now! Adding a couple of chocolate chips on top is brilliant!! Mmmmmmm. Yes you absolutely need to make them right now!! :) Thanks so much for the recipe Emily, you are awesome!! OMG this recipe is a keeper! I just made a double batch, and they are FANTASTIC. 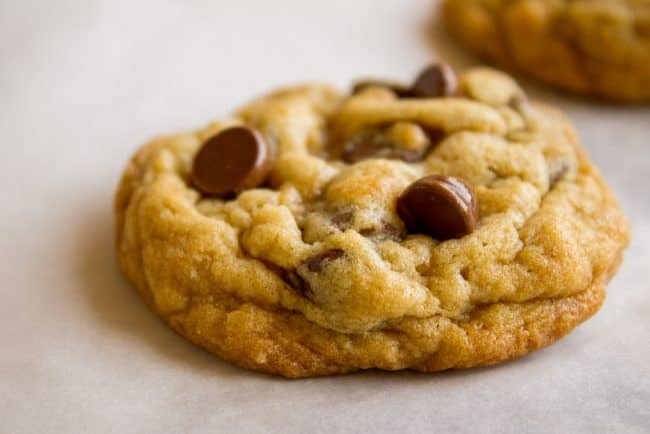 The best chocolate chip cookies I have ever made. That spoon trick is the bomb. I’m going to use it on all my cookie recipes! My cookies took 12 minutes, probably because i have a weird electric oven and live at a high altitude. 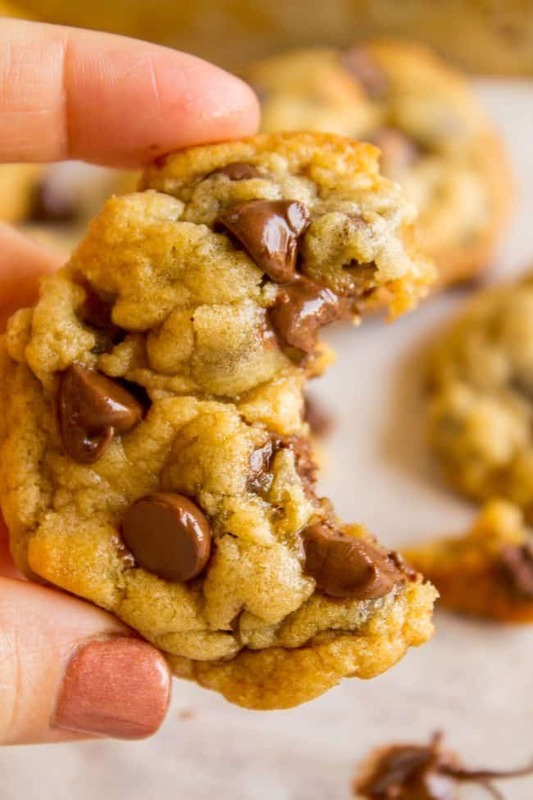 But seriously, this is my new go-to chocolate chip recipe! My kids will be thrilled, lol. YAY! 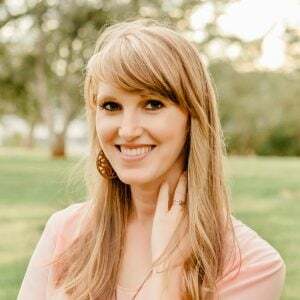 That’s awesome Lorinda! I’m so glad you you’ve found a keeper!! The spoon trick really does make a huge difference. Thank you so much for commenting!! Such an interesting technique to bake cookies! I will be trying this soon; it beats waiting on the cookie dough to chill.